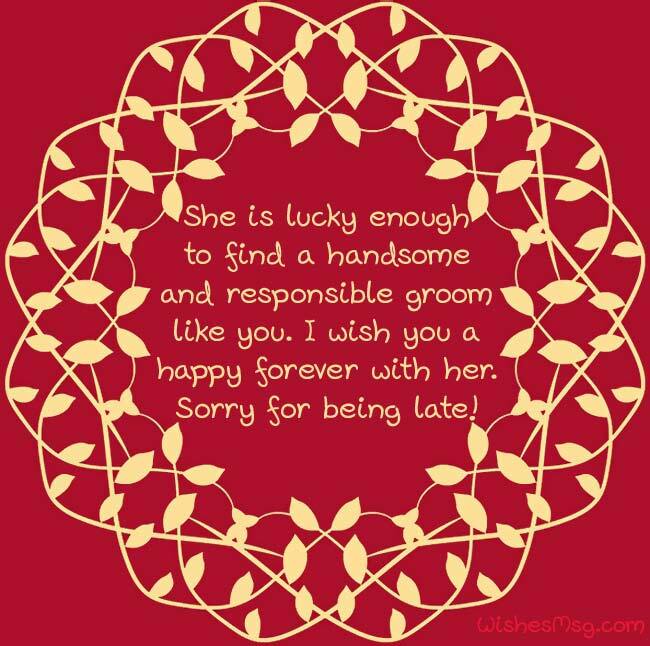 Belated Wedding Wishes : It’s a crime to be late while wishing a happy wedding, especially, when you miss wishing someone who is close to you. That’s why you need belated wedding wishes to express that you’re sorry for being late, or for not being able to attend the wedding party. Belated wedding wishes need to be heartfelt and convincing. You need to make them believe what you say is exactly what you feel. If you missed a chance to wish someone a happy wedding, you need to check out these unique late wedding wishes. These messages will melt their heart instantly and feel sorry for you too. Here are some sample late wishes for a wedding that you can use in your defense when you miss a wedding party of your loved ones! Congratulations to both of you for choosing the path of togetherness. My sincere apology for not wishing on time. May God blesses you! I wish to see an everlasting union of you two. My heartiest congratulations go to you. Belated wedding wishes to both of you! May the love you share always remain unconditional and unfading! I wish both of you a long-lasting marriage. Belated wedding wishes to you! I feel sad for not being able to wish you on time. But I don’t think it’s too late to wish now. May you enjoy a happy married life forever! I want to see you forever smiling together no matter what life brings before you. Sorry for being late but my good wishes are always with you! Marriage is a blessing for every soul that knows how to love the other. Congratulations on you for starting the journey of sweet marriage hood! May God multiply the love and affection that you share in the years that are yet to come! Congratulations on your wedding! Sorry for being late! My failure in wishing you just at the right moment has nothing to do with the fact that you’re going to have an everlasting happy marriage. Congratulation! You’re going to be a good wife and a great life partner for him. I have no doubt on that. Belated wedding wishes to you. 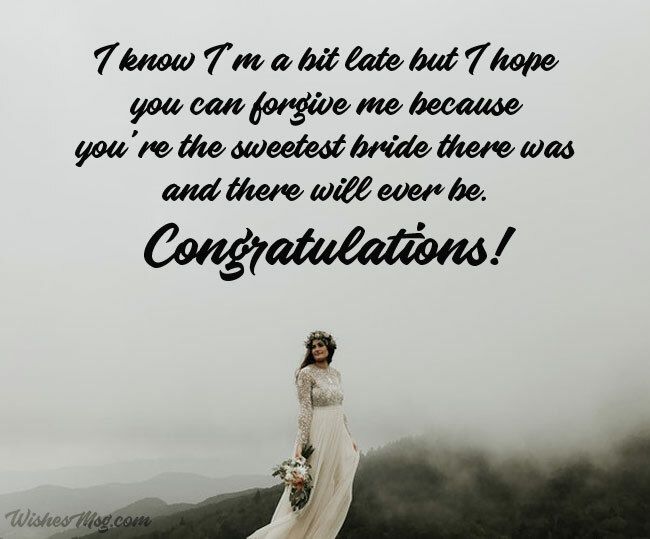 I know I’m a bit late but I hope you can forgive me because you’re the sweetest bride there was and there will ever be. Congratulations! Some people are born lucky and then there are a few who gets to marry someone like you. My deepest apology for not wishing on time. Congratulations! You are the brightest and most beautiful bride I’ve ever seen. No wonder why he chose you to marry. Belated wedding wishes to you! You must be feeling the load of thousand good wishes on your wedding. Here is one more. May God grant you a happy married life! You deserve no less than a cheerful married life. You’re the perfect bride that everyone dreams of. Belated Wedding wishes to you! You’re about to start the most colorful journey of your life. I hope the best for you and your bride. Happy wedding! To the handsome groom of a beautiful bride, may your life be showered with unlimited happiness and infinite joys! Congratulations! She is lucky enough to find a handsome and responsible groom like you. I wish you a happy forever with her. Sorry for being late! Congratulations on finding the right woman in your life. You’ll make a good husband and a great father, I’m sure! Belated wedding wishes to you! A man becomes the master of his destiny when he manages to find a woman talented as he is. Congratulations to you for doing exactly that. May the spirit of love surround you forever like a warm blanket on a cold night? Forgive me if I’m late, but my prayers are will always be with you! Today, I offer excuse but as for your forgiveness. Please accept my heartfelt congratulations on your wedding! May this marriage be full of love, joy and happiness! You are a treasure no matter what kind of wrapping paper is used to decorate you. You have been a great friend and you’ll make a good life partner! You, my friend, are the kind of person that everyone dream of having as a life partner. You bring luck for everyone you care for. Congratulation on your wedding! Only a few people in the world have a heart as pure as you. Congratulations on your wedding. 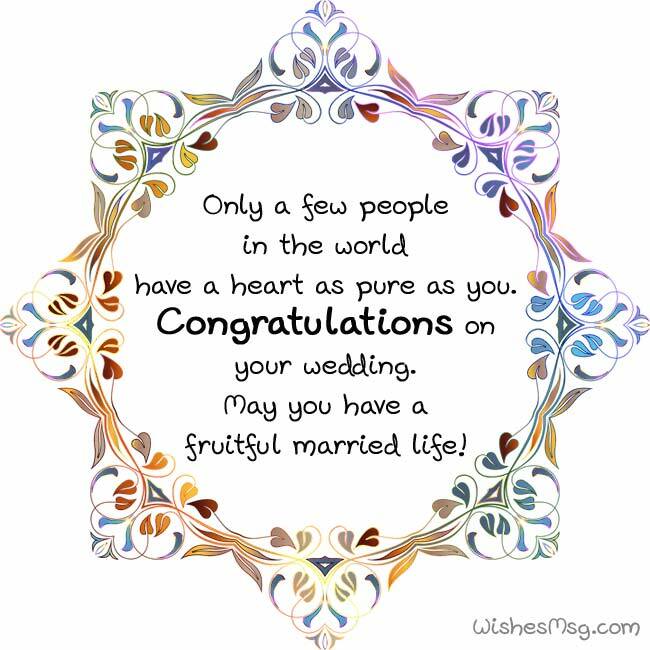 May you have a fruitful married life! May you enjoy a marriage full of love, romance and glory! May god grant you a happy family and a house full of kids! Congratulations! You’ve always been a great friend for me. I want you to know that I’ll always be with you and your wife whenever you need me. Congratulations! You’re the most amazing friend I have. Your wedding day was no less than a holiday for me. Except, I just missed the part of wishing you! Lies travel faster than the truth. So, in that sense, of all the wedding wishes you received, mine is the truest. Congratulations! I was so busy in the thoughts of you and your wedding day that I lost track of time. Happy wedding my dear. I just can’t stop thinking about you! The reason for wishing you late was intentional. I just wanted my text to be on the top of your message box. Congratulations! 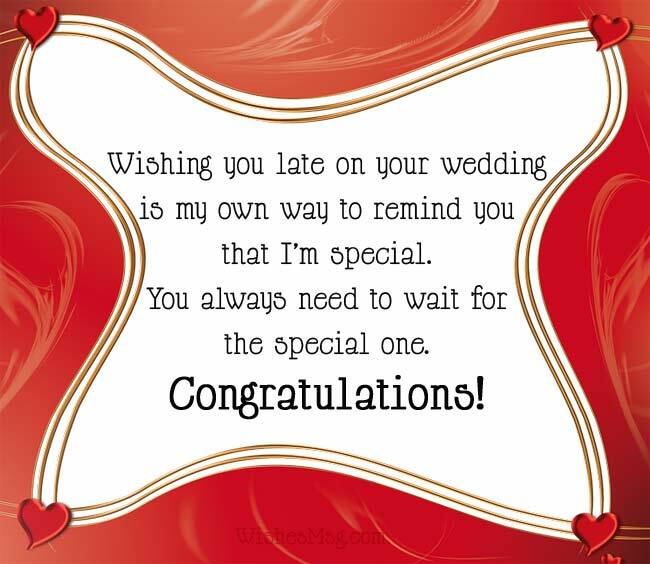 Wishing you late on your wedding is my own way to remind you that I’m special. You always need to wait for the special one. Congratulations! I could have been just another well-wisher on time but what’s special about that? So I chose to be the last one to wish you a happy wedding! Congratulations! 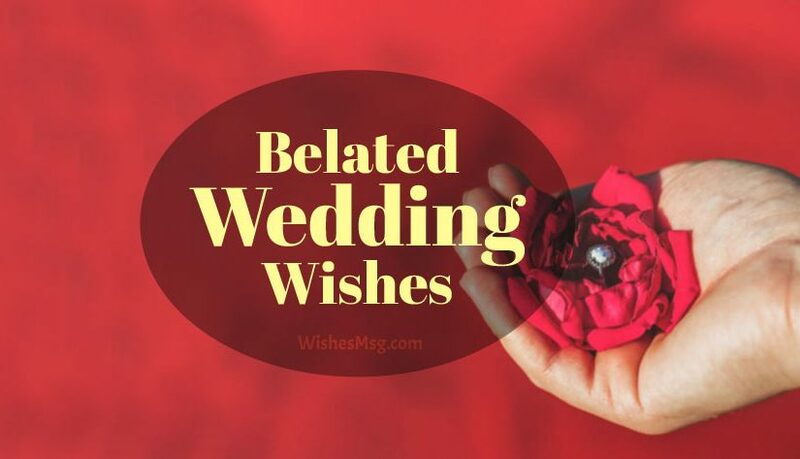 Select the best one from our list of belated wedding wishes and express your sorry to the one that you care for. 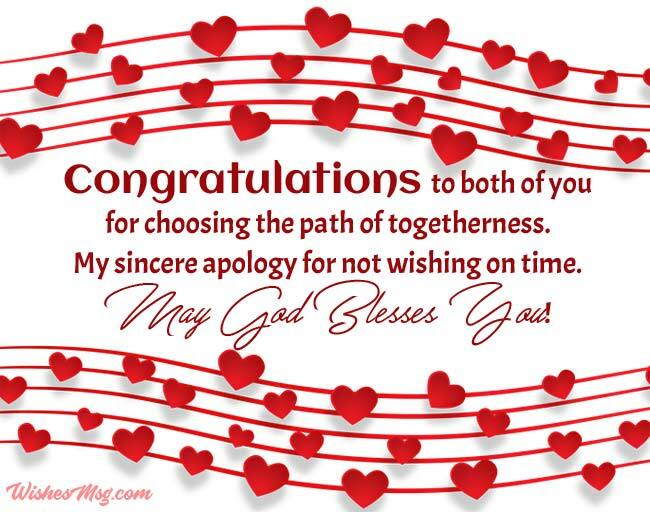 Belated wedding wishes are the best way to convey your apology for being late in wishing a happy wedding!